The Marciano Art Foundation is a private museum established by Maurice and Paul Marciano, the sibling co-founders of the Guess fashion brand. The foundation opened in 2017 and occupies an 110,000 square-foot former Masonic Temple building in Mid-Wilshire. 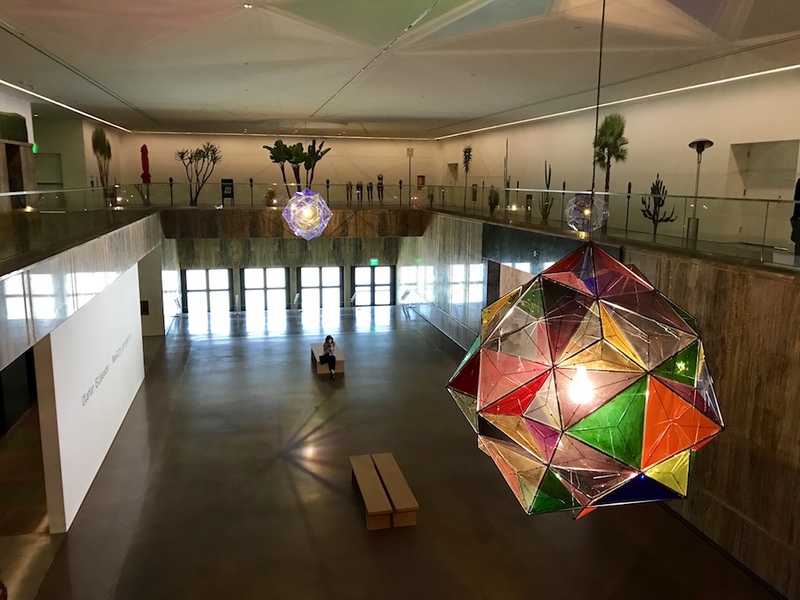 In the lobby of the MAF, before the entrance to Reality Projector, two illuminated spheres provide a preview, with colors and cast shadows, of the larger installation. Elíasson calls them atmospheric and planetary – an introduction to Reality Projector, which he considers, perhaps, a small detail of something much bigger. Between the lobby and the first floor gallery, visitors enter dark curtained anterooms where attendants ask them to wait twenty seconds to allow their eyes to adjust to darkness. In comparison, The Broad allowed visitors to last year’s Yayoi Kusama: Infinity Mirrors to spend thirty seconds in total inside each of six installations. 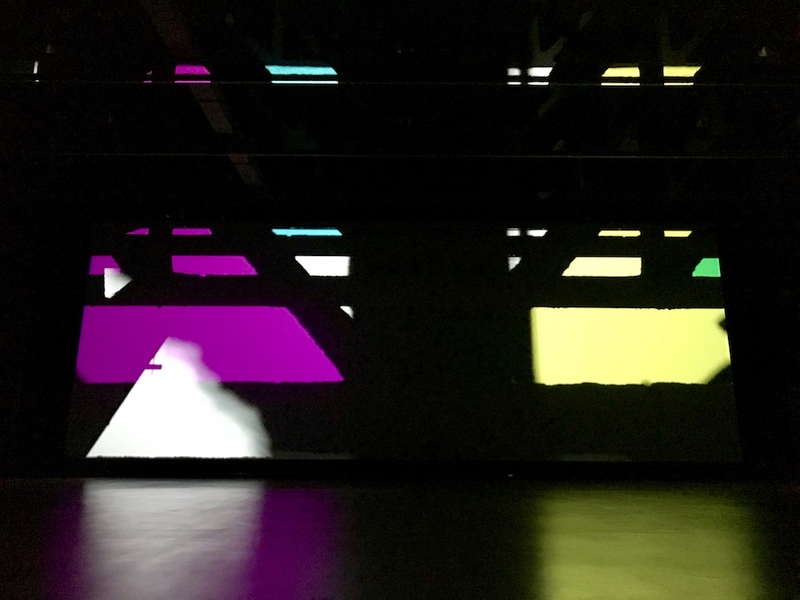 Elíasson’s transformation of the MAF’s cavernous Theater Gallery is achieved, characteristically, with an immersive light installation. The Reality Projector is actually a pair of projectors gliding slowly on parallel tracks across the rafters. 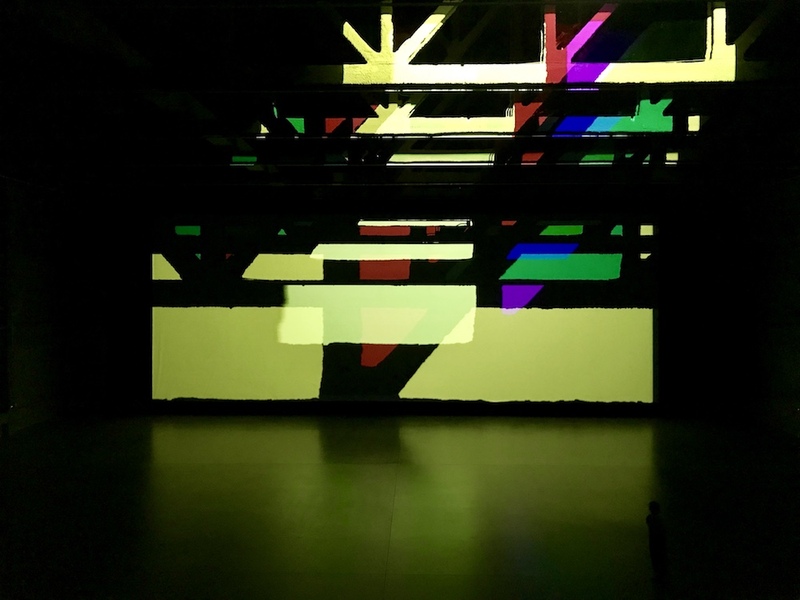 They pass behind colored gel filters set into openings between the roof beams, projecting vibrant, saturated shapes that move across an enormous screen at the end of the dark room. 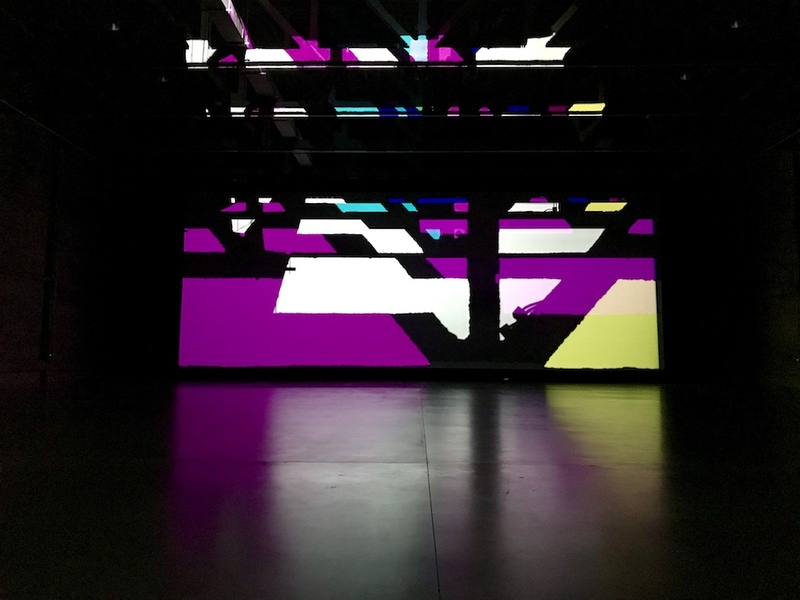 Reality Projector is the first work of Elíasson’s to incorporate sound, with a soundscape of echoes, bumps, and booms created with Jónsi, the musician and sound artist from the Icelandic band Sigur Rós. Like The Weather Project, which Elíasson installed in the Turbine Hall of London’s Tate Modern in 2003, Reality Projector encourages visitors to take their time. Some sit quietly in observation, some lie down in the color bath, and others move around as silhouettes within the vast space. It’s a cool contrast to other shows, with the opportunity to slow down and experience the installation rather than only consume it. 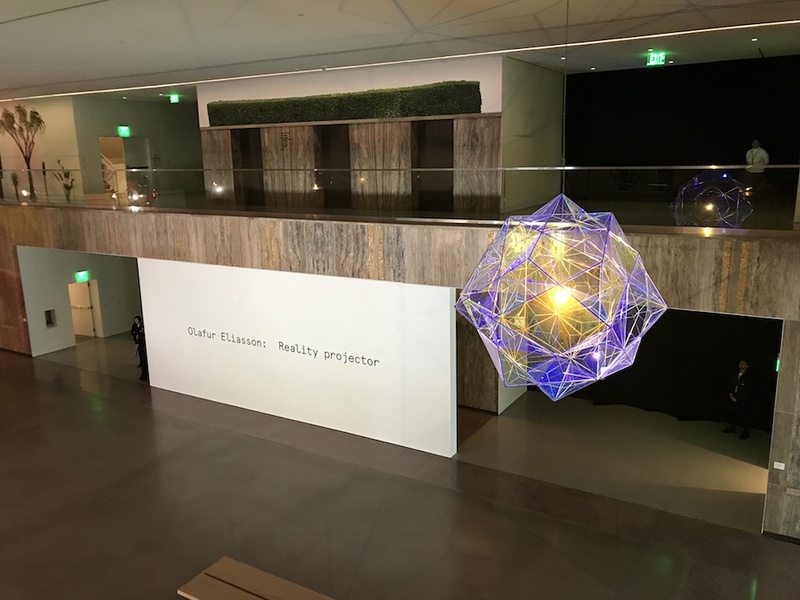 Reality Projector opened on March 1 and is on through August 26, 2018.